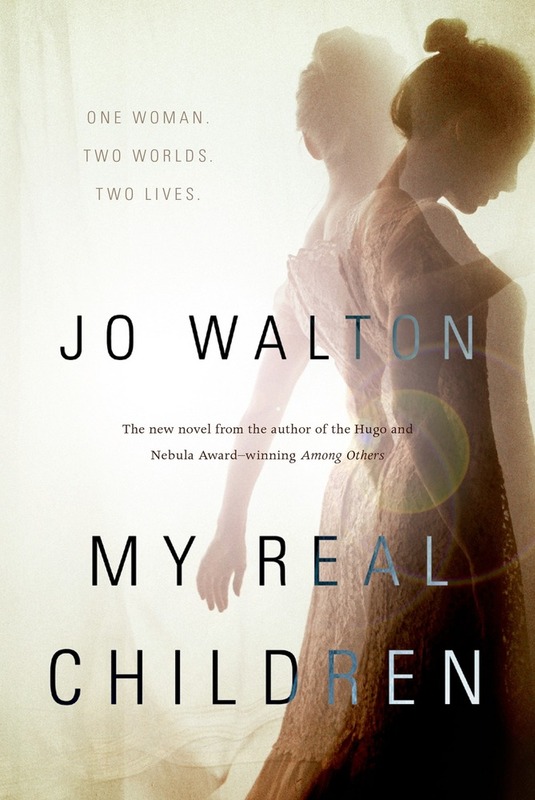 Have you read Jo Walton yet? 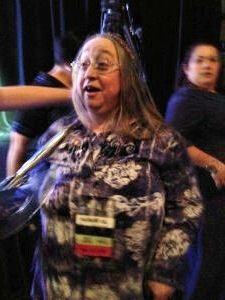 The author, poet, and blogger/reviewer who will be the Guest of Honor at Balticon over the Memorial Day weekend? I am just becoming acquainted with her, literarily speaking, and am bemoaning the past fifteen years that she’s been writing behind my back! I am starting to make up for lost time: to date, one novel, My Real Children, and a few selections from What Makes This Book So Great, a collection of Walton’s book reviews for Tor.com. That may not sound like much, but it’s more than enough to appreciate her impressive but unstuffy breadth of knowledge and her great talent for complex ideas and depths of feeling expressed in brisk, matter-of-fact language. To say nothing of her unusual story lines, and characters so real you almost hear them breathing. I loved every bit of what I’ve read and am looking forward to more. So begins a divided life, lived in divergent worlds with dramatically different futures. In the telling, Ms Walton examines the extraordinary forces within everyday human reality, while painting one of the wildest theories of cosmology with the colors, textures, foibles and complexities of the human beings who endure them. Since 2000, Jo Walton has produced a dozen novels and three books of poetry with an impressive string of awards including, among others, the Campbell Best New Writer Award and the Hugo, Nebula, Locus, World Fantasy, Tiptree, Prometheus, and Mythopoeic Awards. Her novel Among Others won the 2011 Nebula and the 2012 Hugo Awards for Best Novel, and is one of only seven novels to have been nominated for the Hugo, Nebula, and World Fantasy Awards. 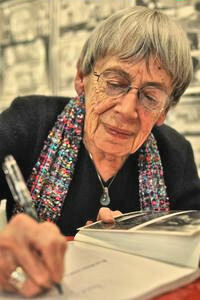 Ursula Kroeber LeGuin, the all-time Great Lady of science fiction and fantasy and winner of the 2014 National Book Foundation Medal for Distinguished Contribution to American Letters, is turning eighty-five. There are two best ways for devoted readers of her incomparable work to celebrate the occasion, the humanity of her words, and the power of their impact on literature. The first is to see and hear her fearless, at times searing, comments on the occasion of the award’s presentation, in which she addresses both the challenges faced by writers in the evolving world of publishing, and the greater world’s deepening need to receive their messages. Posting This Week On SFSignal! Helping Bookstores promote books by harnessing the power of Bloggers!